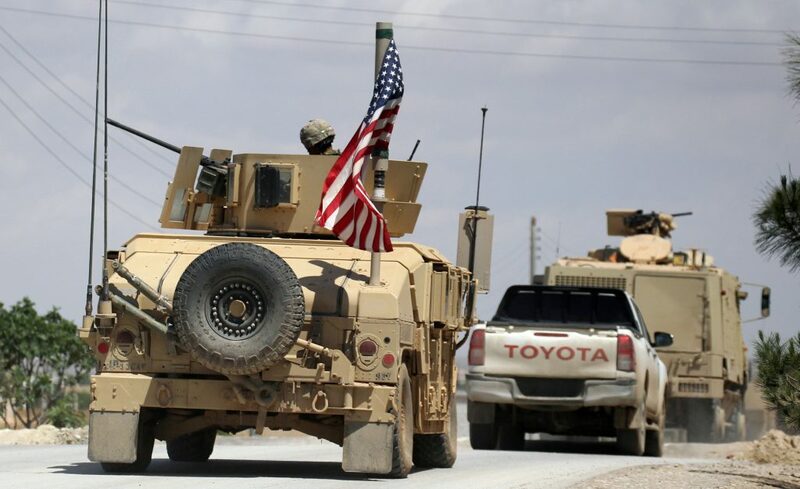 The United States will continue its presence in Syria until Iran’s military is removed, senior State Department official were quoted by the Washington Post as saying Friday. The report says that American forces will remain there “indefinitely,” and will go hand in hand with a “a major diplomatic push to achieve American objectives,” the officials said. Although one of the original important objectives of the American military presence in Syria – the removal of Islamic State from the country – has almost been accomplished, the U.S. is now targeting Iranian forces, demanding that they leave Syria as well. According to the report, American officials are concerned that Russia may not be active enough in encouraging Iranian forces to leave the country, thus opening up the possibility of a long-term or even permanent Iranian presence there. President Trump had previously expressed a willingness to leave Syria in the coming months, but the report quoted James Jeffrey, a retired senior Foreign Service officer now working on Syria issues with Secretary of State Mike Pompeo, said that the U.S. is “not in a hurry” to leave Syria. “I am confident the president is on board with this,” he added. Israel has demanded that Iran leave Syria, and defense officials have declared numerous times that Israel will not allow Tehran a permanent presence in its northern neighbor. In recent months, foreign media has reported on numerous attacks on Iranian bases, weapons storage facilities, and manufacturing sites located in Syria. The reports have attributed these attacks to Israel, which has either denied or withheld comment on the accusations.